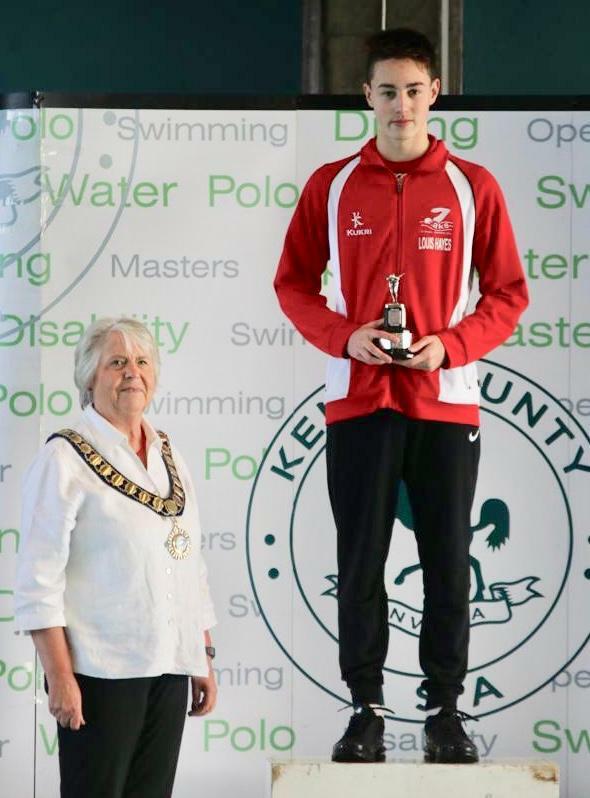 The third weekend of the 2019 Kent Championships continued to bring great success for Sevenoaks Swimming Club at Crystal Palace. Over the course of the weekend the Club amassed a total of eight gold, 10 silver, 13 bronze and 52 finalist medals from their 182 heat swims. The Club currently sit atop of the points table with one weekend to go. 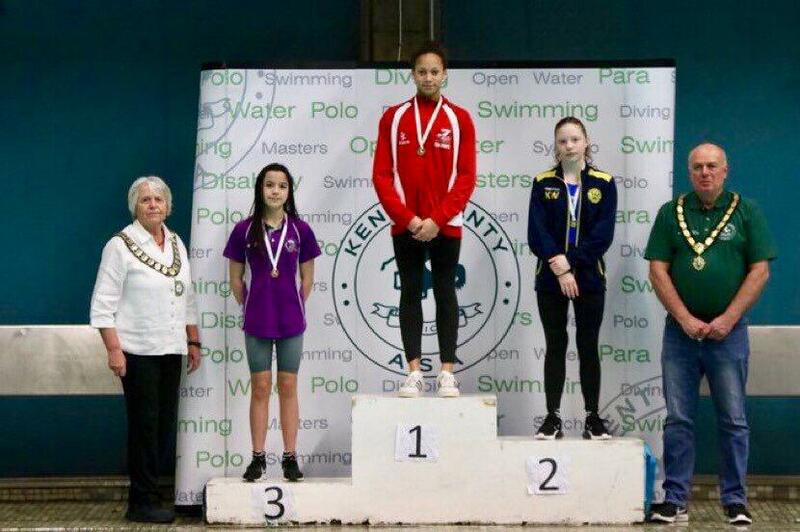 Eva Okaro and Millie Armstrong opened the ladies account on Sunday with a 2nd and 3rd place finish in the 13 years age group for the 200m Backstroke and both made the podium in the exact same positions later in the 100m Backstroke. Izabella Okaro attained her first gold medal of the Championships in the 13 years final, meaning once again that the podium was dominated by Sevenoaks swimmers. Amelia Childs continued her rich vein of form in the 15 years age group, winning silver in the 200m and bronze in the 100m backstroke. Jasmine Wallace returned home with two medals on Sunday too with bronze in both the 100m and 200m events. This is following an astounding performance when Jasmine brought home gold in the 1500 freestyle the previous weekend. In addition Lilie Chambers put in a superb effort bringing home the Bronze also for the 1500 Freestyle. 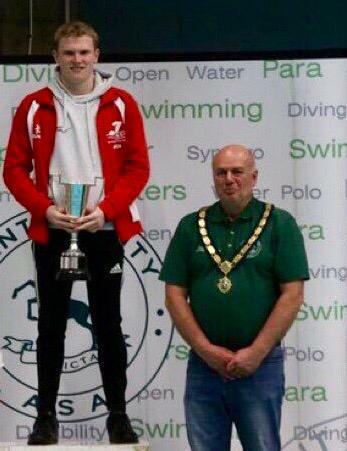 The following swimmers also placed amongst the top eight in the finals: Benjamin Strebel, Zachary Raymond, Oscar Wilson, Samriddhi Das, Elspeth Watson, Edith Norton, Amelia Lodge, Madeleine Glen, Emma Evans-Wilson, Jacob Crombie, Toby Burke, Sam Martin-Young, Seamus Hamilton, Albert Whitlock, Noah Enticknap, Thomas Creasey, Emily Brown, Katie Vowell, Ella Wood, Isla Murphy, Toby Burke and Seamus Hamilton. It’s good news at the SDC Awards!